I'd have fewer Anton Chigurhs nominated for Oscars and more James Kirks. 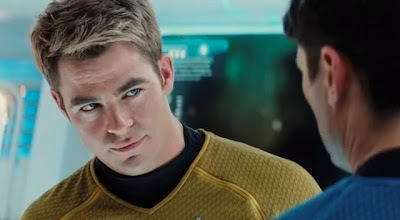 It can't be easy to reproduce with such fidelity the personality, from facial expressions to body posture, of an iconic character with the naturalness and confidence that Chris Pine does in Star Trek Into Darkness. It seems like acting in another language would be: in addition to just acting, and all that entails, you've got to juggle this other task. Chris Pine does it brilliantly without tipping into camp, as do all of the other actors. The film has a great plot, script, and visuals, but a special award should go to whoever cast these movies.